While the first day of Facebook's F8 conference focused on consumer issues like data privacy and, uh, dating, the second day is all about the future. Specifically, the company spent F8's day two keynote talking about topics that would be of interest to developers, like AI, connectivity and VR. Right at the tail end of the conference, Oculus' head of Core Tech product management, Maria Fernandez Guajardo, gave some insights into the kind of VR investments the company is working on. Of special note, she also gave a sneak peek at a brand-new Oculus prototype, which is currently referred to as "Half Dome." 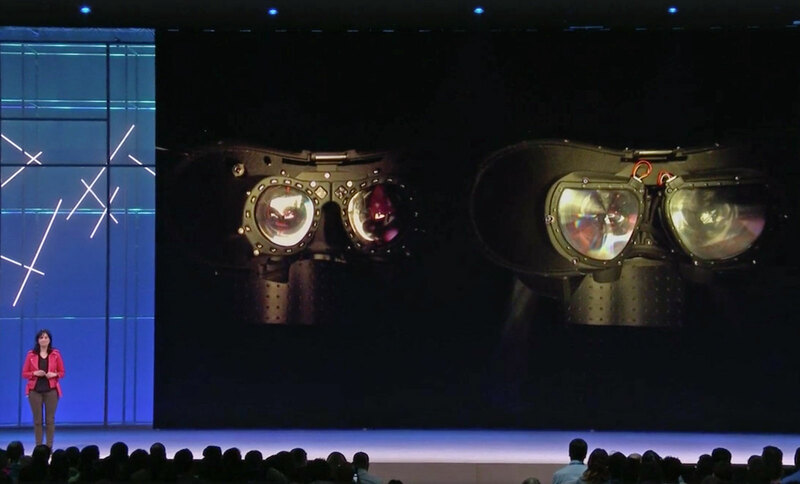 The most interesting thing about the Half Dome prototype seems to be the varifocal displays with lenses that move up and down depending on what you're focusing on. There appears to be eye-tracking tech at play here as well. Guajardo says that most headsets struggle with viewing items held up close to your eyes, but the varifocal displays will make them appear much sharper and crisper. It also has a much wider 140-degree field of view (the Rift has a 110-degree FOV), which offers better peripheral vision. And, despite all the new tech, it has the same size and weight as the existing Rift. Guajardo also spent some time talking about other advancements in VR, like facial and hand tracking. Oculus is currently working on making those cartoonish avatars in Spaces a lot more photorealistic, to the point that they might push some uncanny valley buttons. Of course, it's still too early to say when the tech in Half Dome will make it to a new Rift, but it certainly points to the possibility of a Rift 2. Here's hoping we'll hear more about it at Oculus Connect later this year, or maybe even prior to that.